For over 40 years, BuildCor Roofing has specialised in providing outstanding roof construction products. We offer terracotta tiles for new roofs, extensions, heritage restorations, re-roofs, and roof repair projects. 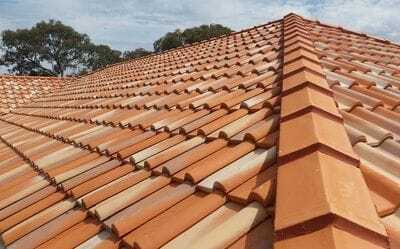 If you are looking for a reliable company to Supply & Install terracotta and concrete tiles in Melbourne, Bendigo or Regional Victoria we can provide everything that you need. Our dedicated and experienced staff will provide quality workmanship and customer service that will exceed your expectations. As a trusted supplier for many heritage restoration works, you can trust our expertise and skill when it comes to your own roofing project. Our Boral terracotta roof tiles are designed to withstand both harsh climatic conditions and marine environments. The sarking, tile colour, and solar design also provide thermal insulation. We offer many options when it comes to selecting the right terracotta tiles for your project including shingle, French and Swiss profiles, as well as, multiple colour options to help you achieve the beautiful architecture that you are looking for in your project. Our concrete roof tiles deliver unsurpassed style, performance, and versatility. 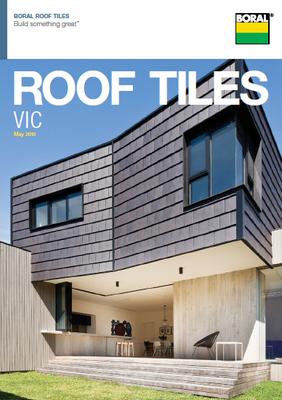 With a range of profiles and colour options, our Boral roofing tiles can be used to create beautiful architectural designs for a wide range of projects. At BuildCor, we have all of the necessary roofing products required to create a high-performance roof for your residential or commercial premises. Our professionals will work closely with you in order to help you to select the right roofing tile options for your project. Your free quote is just a call away. You can either reach us on 03 9359 3434 or drop an email to info@buildcor.com.au.